More photos from the set of Netflix’s The Defenders! 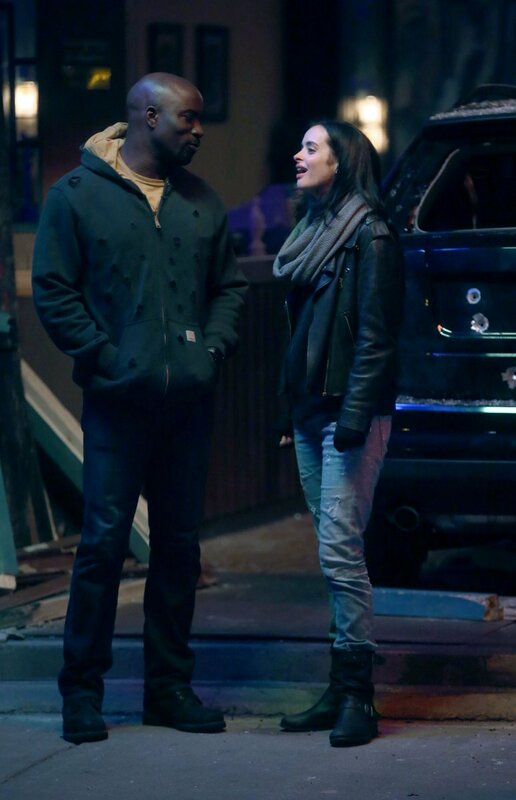 This time we focus on the team members Jessica Jones and Luke Cage. 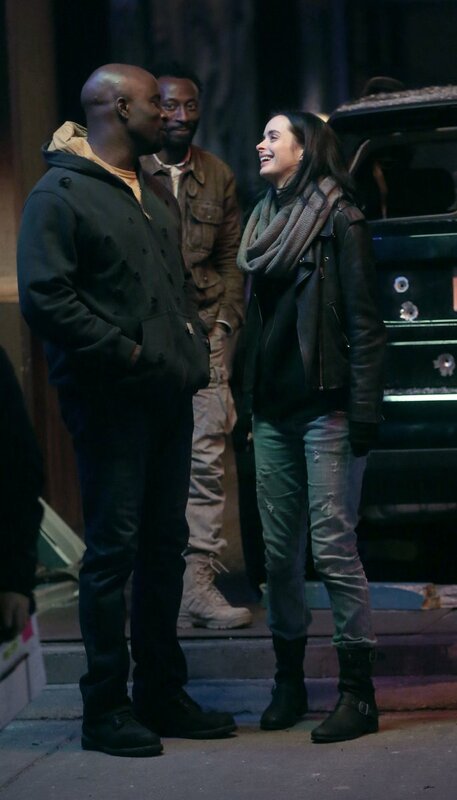 The four photos from the Defenders set show different scenes which features Cage’s Mike Colter and Jones’ Krysten Ritter. 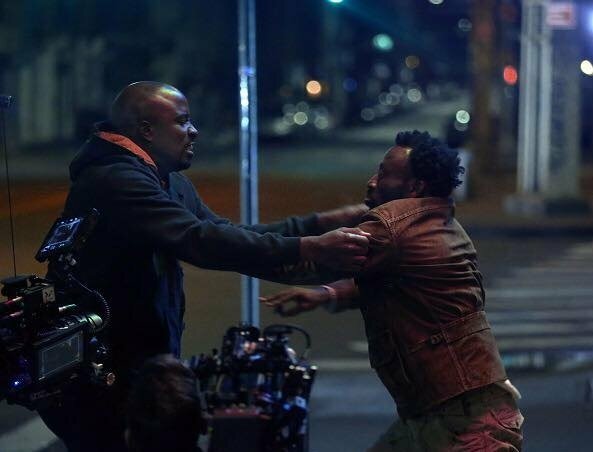 Another featuring Luke Cage getting into a fight and ready to deliver the smackdown on a hapless thug. 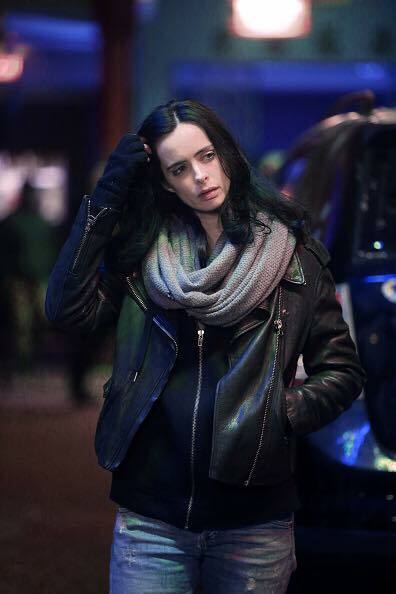 Lastly, we’ve got a closer shot of Krysten Ritter’s Jessica Jones still looking somber. “The Defenders” will bring together Marvel/Netflix heroes Luke Cage, Jessica Jones, Daredevil (played by Charlie Cox) and Iron Fist (played by Finn Jones). The four heroes will meet at Midland Circle, where Matt Murdock and Elektra discovered the mysterious hole in “Daredevil” Season 2. Fans have speculated that the location implies the Hand will play a role in the “crisis” that the new team will face.